Boy Leading a Horse is yet another masterpiece critics praise without trying to explain. Either they believe it has no meaning or that explaining it is impossible. That is no reason not to try. The more difficult an image is to interpret, the more you will experience aesthetic satisfaction when you do start to understand it. 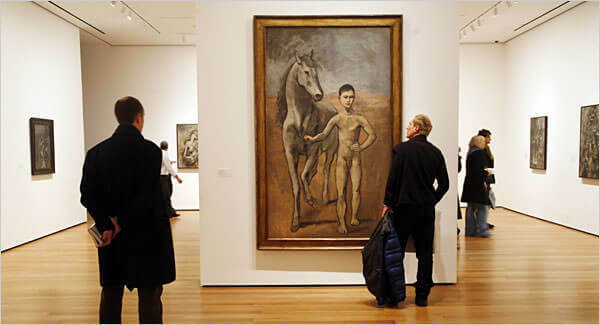 Richardson searched for Picasso's sources but gave up, calling the picture "derivative." The painting, though, must mean something; all masterpieces do and it is our job to figure them out. Sources, as always, are key. 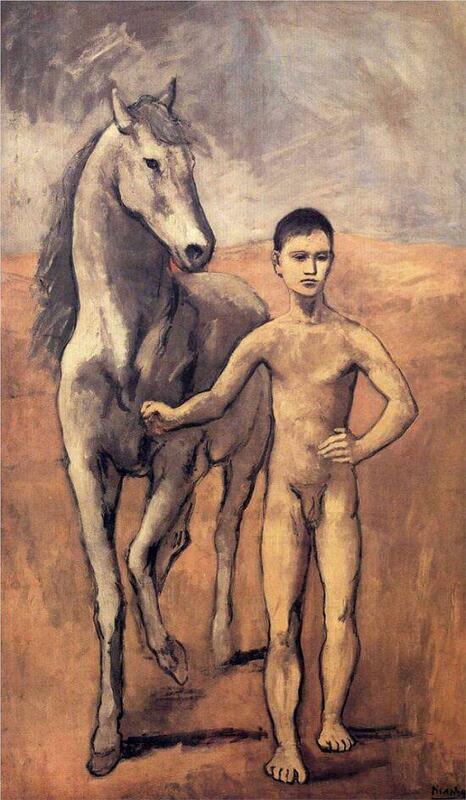 The two figures - horse and boy - first appeared as a sketch for a much larger masterpiece that was never finished. No expert seems to have noticed that the horse in the picture under discussion is derived from Mantegna's Parnassus in the Louvre. Parnassus was the mythic home of the arts. 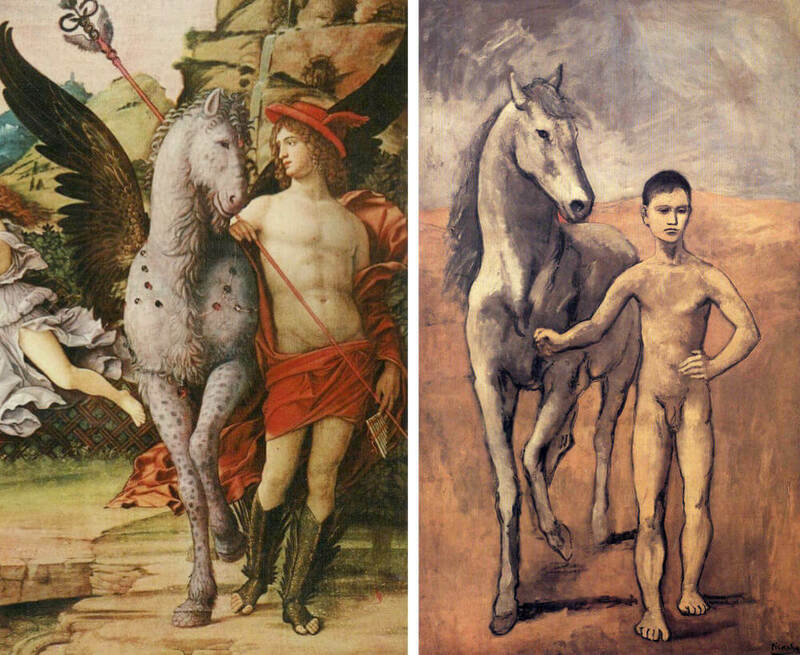 Hermes and Pegasus, the winged horse, are in the right foreground of Mantegna's image (far left) rather like a signature. This discovery leads to another homonym. Pegasus in Spanish is Pegaso. The reason why Picasso changed his last name from Ruiz to Picasso is now much clearer as revealed in the analysis of another painting, Picasso's Parade.